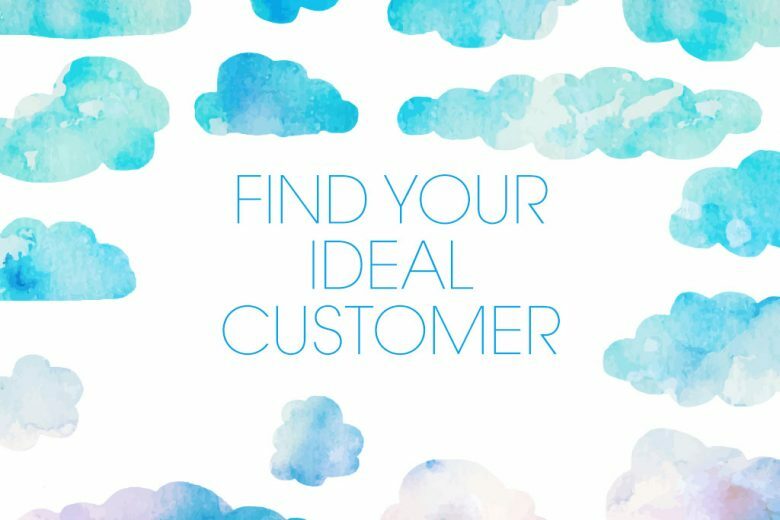 One of the biggest obstacles every business needs to tackle is finding your ideal customer. Read the three questions you need to ask to help you work exactly who you’re selling to. No marketing plan, ad or email campaign or social media strategy will work if you’re not completely clear about who you’re talking to – the people who need and are most likely to buy what you’re selling. But exactly how do you spot these people in a sea of potential customers? What are their giveaway signs? To help you spot them, and grow a more successful business or freelance career, copywriter Tanja Gardner shares the three questions you need to ask yourself. In fact, as a solopreneur who needs to get the word out about what you offer, you can’t even please all of the people some of the time. That’s because we human beings aren’t a homogenous mass of identical pod people. We’re all unique individuals with different backgrounds. We want – and need – different results. We’re drawn to – and irritated by – different triggers. One thing we do all tend to respond well to, though, is someone who truly ‘gets’ us. Someone who understands exactly what it’s like to deal with our specific challenges. Someone we believe can really get us the results we want in our unique situation. Are you seeing the problem with trying to appeal to everyone? If we’re all different, and each person wants something that will specifically help them… no single offering can possibly make everyone happy. That’s why most marketers talk about identifying your niche (aka your “ideal clients” or “perfect people”) as the first step in any marketing campaign. What if I narrow my niche too far, and no-one ends up wanting to buy my stuff at all? I’m just getting started, so I can’t afford to ‘leave money on the table’ by turning away potential customers! I’m all about helping as many clients as possible, so it feels unethical to arbitrarily exclude some people. I totally understand those concerns – especially if you’re just starting out. However, it’s important to remember that pinpointing your ideal client is about getting clear on who you’re writing your marketing copy for. It’s not about refusing to do business with people who don’t fit the bill (or at least, not unless you choose to). One of the unavoidable realities of copywriting, however, is this. The wider the range of people you try to appeal to, the less you end up appealing to any individual one of them. So how exactly do you identify your ideal client? These three must-ask questions will help! I’ve seen some incredibly complex, multi-page ‘niche identification’ templates out there that are designed to help people pinpoint their ideal clients. Each one contains lists upon lists of questions that cover everything from someone’s favourite clothing brand to their coffee hangout; from their age to their entertainment preferences. A lot of this information can seem bizarrely irrelevant. (Seriously? I need to know what sports team my ideal client roots for?) There’s actually a reason for asking it, but again, when you’re just starting out, that level of detail can feel like major overkill. There are, however, three questions you absolutely need answers to before you do any kind of marketing for any of your offerings. Here’s what those questions are, and why they’re so important. 1) What key problem do you love to help people solve? If you’re a business coach, it’s usually something like “your client’s business isn’t earning enough money”. If you’re a hairdresser it might be “your customer’s hairdo makes them feel frumpy”. If you sell framed original art prints, it might be “your client has a boring living space”. Although you might think you’re selling coaching, haircuts or artwork; on a deep level, you’re really selling the solution to a problem your client has. So it’s a really good idea to start by identifying which problems you most enjoy helping people to solve. 2) What specific results do you enjoy creating for your clients? As a business coach, your ideal client might be a beginner who wants to attract their first paying customer. Or they might be someone more experienced who’s aiming for their first six-figure year. They might even want non-financial results – maybe they’re a single parent who wants to work smarter so they get more time with their kids. As a hairdresser, your ideal client might want a haircut that makes them look professional, so they fit in at their corporate job. Or they might want a vibrant rainbow dye job that makes an impossible-to-ignore statement about their personal politics. As an artist, your ideal client might be looking for a piece that blends in perfectly with their current low-key décor. Or they could be looking for something with the right kind of “spiritual vibe” that makes them feel a certain way each time they see it. In each example, the problem that each type of client wants to solve is the same, but the specific results they want aren’t. Good copywriting leaves your ideal client in no doubt whatsoever that working with or buying from you will get them the specific results they want. To communicate that to them effectively though, you need to be clear yourself on exactly what the results that they want are. 3) What kinds of people do you most ENJOY working with? Many business marketing courses I’ve seen talk about the previous two questions, but then leave out one that I think is just as important. They fail to ask you who you most WANT to work with. What kinds of clients absolutely light you up? Which customers bring a smile to your face as they walk through your door or send you an email? Customers or clients who make you feel miserable are NOT an inevitable part of entrepreneurship. Running a business won’t always be sweetness and light, but it should leave you feeling blessed more often than it leaves you feeling stressed. A big part of that feeling comes from getting to work with customers or clients you truly love. So while you’re pinpointing your ideal client, make sure you specify the characteristics that will make you genuinely enjoy working with them! Over to you… who’s YOUR ideal client? The three questions I’ve outlined above will help you to identify the ideal client for any product or service you offer. That in turn will help you to write clear, powerful marketing copy that resonates with your reader, so that they can easily see exactly how you can help them. Now I’d like to hear your thoughts. Do you find it easy to pinpoint your ideal client – their problems and the results they want? If not, what gets in your way? And if so, does knowing who they are make it easier to write effective marketing copy for them?